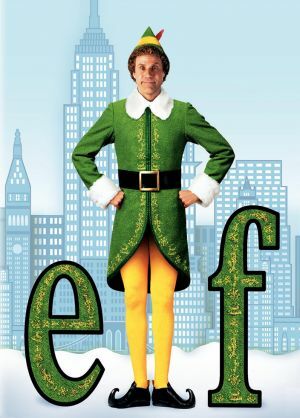 We know that Buddy the Elf loves Christmas, but is this the festive movie for you? As a baby, Buddy is adopted by Papa Elf and brought up in the South Pole with Santa’s elves. When he finally discovers he’s human he decides to head to New York City to reunite with his father, who he’s never met before. The whole premise of the film is a man who thinks he’s an elf and must leave his magical North-pole life to live in the real world with real people. Separating the two cultures, the film really makes Buddy stand out in comparison to the people of New York City, allowing the focus to stay on him throughout. By doing this and using regular people to bring him into normal life, Elf manages to fantastically is intertwine reality with fantasy without ever making it too silly. In reality, Buddy’s task to find his father is a fairly serious matter but is successfully masked by continuous jokes; to help Buddy become more appealing and less serious, the film uses characters like his father’s boss and the New York Central Park rangers to great affect, allowing them to show an aggressive and evil side. This is especially evident when the silhouettes of the Rangers are displayed with dark noises and harsh shadows. The choice to have these minor opponents rather than a main villain works well to maintain the light hearted comedy of the film and avoids any spectacular good versus evil plotlines that would have taken away from the charm of Buddy’s innocent exploration. As one of the funniest Christmas films of recent times, Elf certainly stacks up as a favourite for many, and it's no wonder with a well-balanced story, a hilariously funny lead character and some well accomplished actors in supporting roles.